« What questions should you ask before considering Website Redesign? 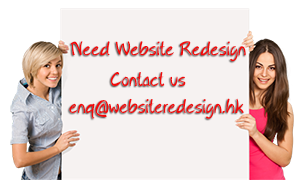 Website redesign is a major undertaking for most portals. Changing the look of a website is not only a major investment in terms of money, but also because it drastically changes the look and feel of the site. This is a reason why many individuals and firms are hesitant in changing the design of their website, especially if there are no clear-cut design flaws. Website owners fear that a major overhaul of the design of their online sites could backfire as their long-time visitors may be turned off with the change in look and functionalities. Most marketers suggest to redesign a website every two to three years, arguing that this is the ideal time frame for website owners to change the look and functionality of their portals. Online marketers likewise stress that redesigning a website every two to three years will keep the business fresh to its target market. But what is a website redesign? By definition, this is a process involving the complete makeover of a website, from top to bottom. It means new templates, features, functions, and even navigation. This is in no way similar to a site refresh, wherein the homepage may be changed from time to time but the existing templates and functionalities are kept more or less the same. Website redesign should also not be confused with website maintenance, which simply means uploading of recent news or updates. There are some market changes that can force a company or individual to redesign a website. These include new web technology. For example, a website created two to three years ago may not have been designed to be viewed on portable devices like smartphones and tablet PCs. Yet with more and more people accessing the Internet on mobile devices, it has become imperative for websites to be versatile enough to be viewed on multiple platforms. Several years ago, Twitter was not as huge as it is today. But these days, a website that is not linked to a Twitter account is bound to lose a lot of potential customers. Think of the 500 million tweets sent every day globally, and websites that don’t have any Twitter presence are getting beat up by their competitors that have an active Twitter handle. Another market trend is the constantly-evolving Google search engine algorithms. Google constantly updates it local ranking algorithm, thus affecting the rankings of websites in its local search results. Websites that are not optimized for the search engines are very much in danger of falling in the search rankings, translating to lower traffic and thus lower profits for their owners. So when should a website redesign project be implemented? Two to three years is an ideal time frame, but implementing one in 1-2 years could reap a lot of benefits especially in the face of the fierce competition among websites.